Homeowners often turn to social media for inspiration and information for their house projects, so if your business is active on Facebook, Pinterest and YouTube, you’re marketing in the right place. 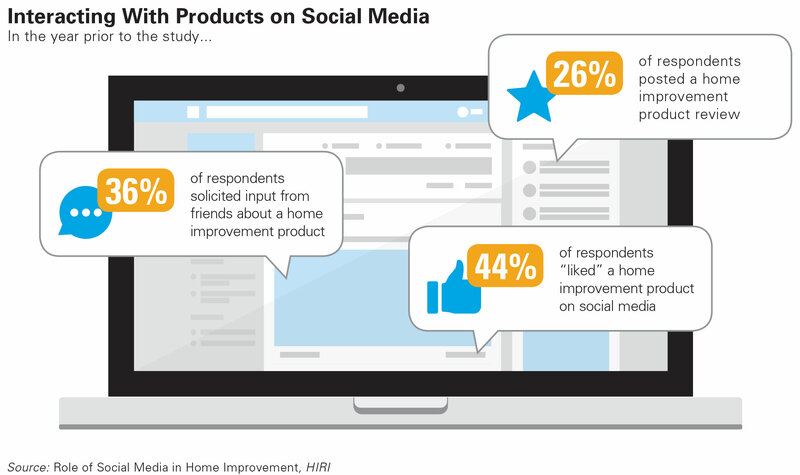 For the Role of Social Media in Home Improvement study, the Home Improvement Research Institute (HIRI) surveyed more than 750 homeowners who had completed a home improvement project in the six months prior to the research or planned to complete a project in the next six months. 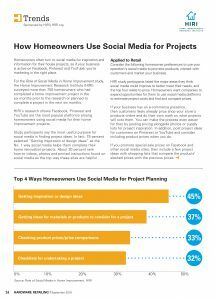 HIRI’s research shows Facebook, Pinterest and YouTube are the most popular platforms among homeowners using social media for their home improvement projects. Study participants say the most useful purpose for social media is finding project ideas. 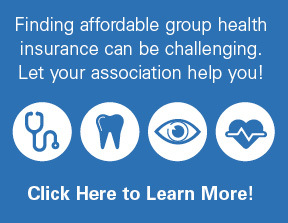 In fact, 75 percent selected “Getting inspiration or design ideas” as the No. 1 way social media helps them complete their home renovation projects. 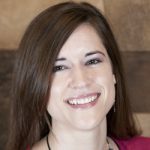 About 30 percent rank how-to videos, photos and printed instructions found on social media as the top way these sites are helpful. 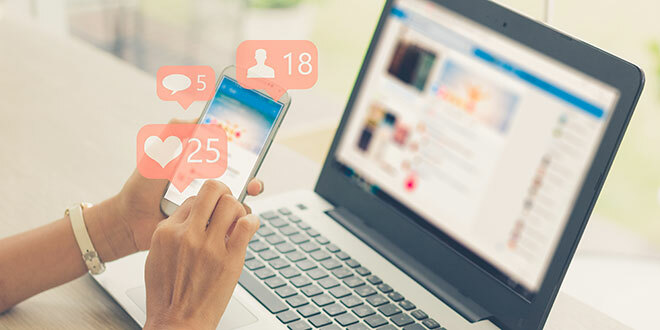 Consider the following homeowner preferences to use your operation’s social media to promote products, interact with customers and market your business. HIRI study participants listed the major areas they think social media could improve to better meet their needs, and the top four relate to price. 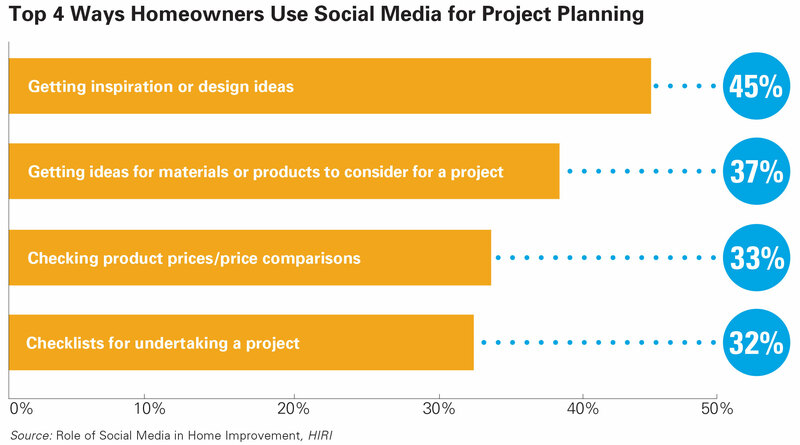 Homeowners want companies to expand opportunities for them to use social media platforms to estimate project costs and find and compare prices. 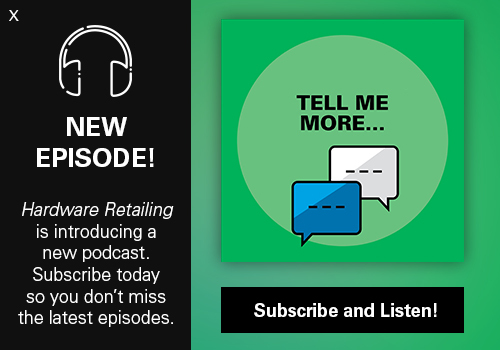 If your business has an e-commerce presence, then customers likely already price shop your store’s products online and do their own math on what projects will cost them. You can make the process even easier for then by posting pricing alongside photos or supply lists for project inspiration. 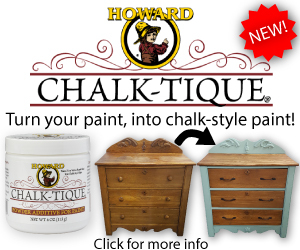 In addition, post project ideas for customers on Pinterest or YouTube and consider including product prices when you do. If you promote special sale prices on Facebook and other social media sites, then include a few project ideas with shopping lists that compare the products’ slashed prices with the previous prices.